JDogg Scholarship's First College Graduate Vann Fulfs. The season of graduations and commencements is an emotional time, especially for parents. Imagine what it’s like for parents whose child died between high school graduation and what should have been college commencement. As years elapse it’s not an anniversary of celebration but of loss. Five years have passed since BHS graduate Justin Amorratanasuchad died during his junior year at Emerson College in Boston while working on a film project. But his family found their way to transforming their loss into a gift for other filmmakers. They awarded their first JDogg Film Scholarship in 2012 and now have their first college graduate, the 2013 recipient, Vann Fulfs. I’ve written in the past about the family’s almost immediate determination to honor Justin through helping other film students. Their JDogg Film Scholarship mission: Keeping Justin’s vibrant memory alive by helping other talented and financially challenged Puget Sound area film and media students pursue advanced studies in their arts. Support for the scholarship has not diminished in the years since his accidental death, allowing Justin’s unforgettable qualities as skateboarding star, award-winning filmmaker and friend to live on. Since fundraising began in late 2011 the Justin Amorratanasuchad Scholarship Fund has raised over $120,000, and has awarded $47,000 of that to four students (with possibly another ~$21,000 to be paid out this Fall for new and continuing scholars), and is currently supporting three scholars (no longer including graduate Vann Fulfs) while still building the Fund towards an endowment. The first recipient of the scholarship was Sophie Mitchell who graduated from The Center School in 2012. 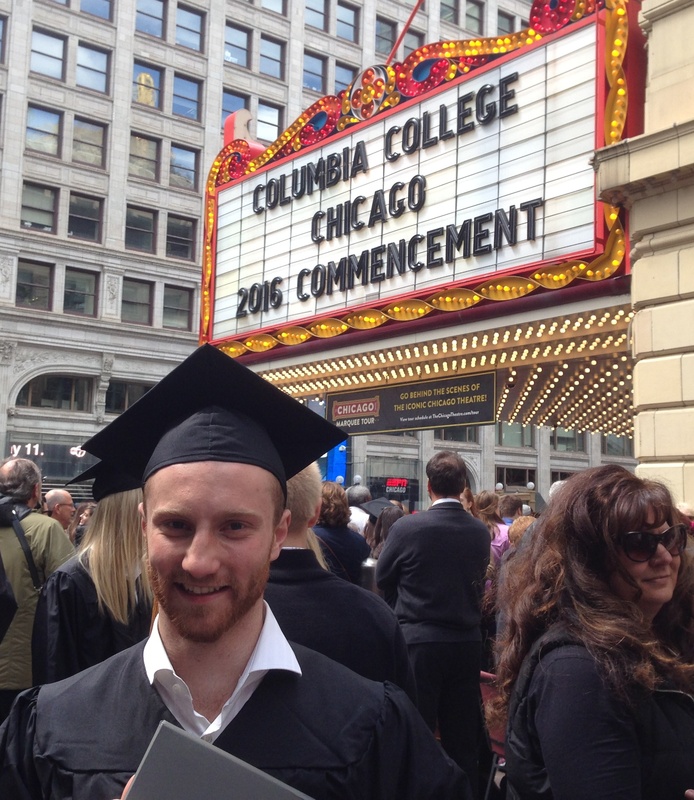 Vann Fulfs was the second recipient, in 2013, but having completed in just three years he becomes the first college graduate. The 2014 recipient was Raven Two Feathers of BHS. The 2015 scholarship went to Bogui Adjorlolo of Shorecrest High School. The 2016 scholarship was just awarded to Leo Pfeifer, another BHS grad. It seems we are always reading about the filmmakers associated with the Ballard High School Video Production Program or its graduates, like National Film Festival for Talented Youth founder Founder Jesse Harris. One day Ballard may be known for its filmmakers the way Hollywood was once. Seattle’s coffee, tech and Amazonian past will be a footnote to Ballard’s film dominance. Why? Not only do BHS and Reel Grrls have a strong programs, once-BHS parents like Blair & Craig Brooke-Weiss keep nurturing local filmmakers. By coincidence I was in Boston when Justin died and my first cousin was his year at Emerson. I think of Justin and his family every year when commencements and mortarboards are in the air. Thanks to his family Justin’s bright flame will be carried off the stage and out into the filmmaking world every year, held aloft along with a diploma.